A man approached her on the street asking for directions. Since the destination was in the vicinity, she helped him out. They had a juice together. Moments later, she takes the man home and helps him gather all her belongings, including her savings, and hands it over to him. A few hundred kilometres away, a man woke up to a completely empty apartment. Bewildered about what might have happened, he went and enquired with the building guard about his belongings. The guard recalled him carrying out his furniture among other things with his "friends" the night before and loading it all on a truck. "Why didn't you stop me when you could see I was doing something stupid?" The guard quipped, "Because you told me not to interfere." What would an appropriate reaction be in this case? Do you respond with shock and fear, or should one be thankful thinking it could've easily been something much worse? 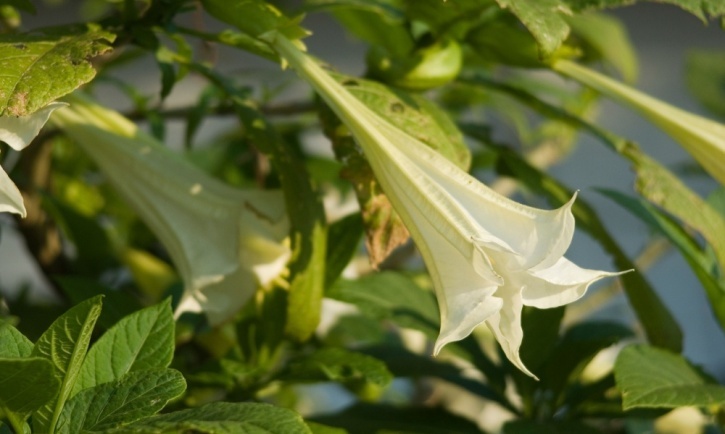 The drug is burandanga, or scopolamine, also commonly known as 'The Devil's Breath'. A drug that attacks your free will more than anything else. A drug that can kill you, or make you kill. You could actually find countless stories like the one mentioned above of how criminals in Columbia and Ecuador use the drug on unsuspecting people, mainly travellers, taking away the victim's free will and then assaulting them or robbing them blind. Scopolamine is up one level from roofies. 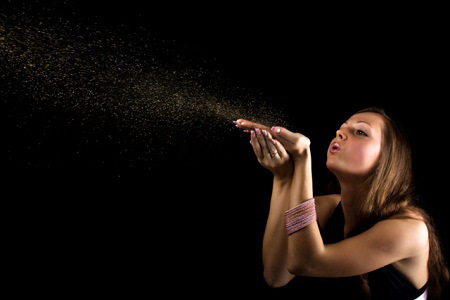 The hypnotic drug found in powder form is blown into strangers' faces turning them into coherent zombies completely at the mercy of the other person. Even after the drug wears off, the person will have no recollection of what might have taken place in eight hours prior. During these eight hours, anything could happen, and you're really at the mercy of the one who's drugged you. A lot of urban legends surround the drug with accounts of some people recalling horror stories of how, in a zombie-like state, the victims run the risk of having all their savings taken away from them, getting their homes robbed, having their organs stolen, being raped, murdered, or even made to commit a heinous crime. Devil's Breath is made from the flower and the seeds of the "borrachero" shrub commonly found in Colombia. Containing a chemical compound known as "burandanga", the drug has been used by many natives of South America for their spiritual rituals. The compound is known to induce hallucinations, frightening images and a lack of free will. Amnesia is the worst bit though, leaving the victim clueless about what happened just a few hours back or making them unable to identify the perpetrators. In a large dose, it can also lead to death from respiratory failure. According to an unofficial estimate, there are over 50,000 incidents with scopolomine every year, most of them occurring in clubs and bars, on foreigners. But if you go by things going on in the streets of Colombia, it's the men who look like they come from well-to do families who are often targeted by attractive young women looking to make a quick buck, and not the other way round. But incidents involving the Devil's Breath have not only been restricted to South America. In Paris, last year, a gang of five Chinese nationals were arrested for running a racket at the airport and some of the other popular hubs of the town. Is it a new find? Not at all. It's one of the first drugs to be used during interrogations in the 20th century. The erstwhile Soviet Union and the CIA are known to have been using it as the truth serum during the Cold War. Joseph Mengeles, a Nazi physician who dubbed it as the Angel of Death, had admitted to having imported the drug from Colombia to use in Nazi interrogations. Some doctors even prescribed it for patients kept under observation as a relief drug. Patients were given small doses to make them forget the pain they were in. It was also given to pregnant women going through labour in some countries. Back in the day, Colombian mistresses of dead Colombian leaders were given the drug before being willingly led to their master's grave and buried alive. A village mob attacked and dismembered the body of a 70-year-old woman who they alleged practiced witchcraft in the village. Police have confirmed that a number of villagers from the Buya village on Sula Island in North Maluku have turned themselves in. The woman, only identified as Nu, is believed to have cast a black magic spell or santet on a villager. Several traditional herbalists were unable to cure the villager who had been sick for several days, the Jakarta Post reported. According to the newspaper, the villager who was ill, had been asking to be taken to Nu's house but often fainted once he arrived at her house. When villagers saw the patient in front of Nu's house on 19 March, they became suspicious. A mob of villages entered her house the following morning and attacked her with machetes. The mob then turned themselves in to the police. A local who refused to be named told kompas.com: "Around 30 people have turned themselves in [to the police] so far. There are expected to be many more later." Sula Island Police Chief Adj Sr Cmr Deden Supriatna Imhar Sik confirmed the incident. He however declined to give details. "There are suspects, but I cannot give the numbers involved," he said.